The events success would not be possible without the support from our wonderful partners and sponsors. Below are our incredible 2019 partners who we are delighted to be working with. A huge thank you to all of our incredible partners who helped make the London Landmarks Half Marathon a reality. 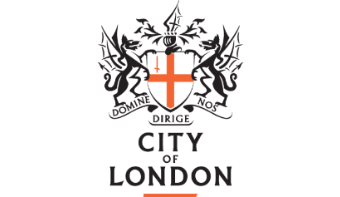 We are very grateful to be able to partner with The City of London Corporation. Over the last 24 months they have been and continue to be hugely supportive in the development of London Landmarks Half Marathon, helping us to produce the best event possible. Westminster City Council are a very supportive partner. They have worked with us for over 24 months and have been instrumental in the event’s launch and continued development. We are proud to partner with Equinox, the high performance lifestyle leader, as our Fitness and Training Partner. Equinox deliver unparalleled coaching and programming to help people maximise their potential every single day. In the lead up to race day they will be providing expert training, nutrition and recovery guidance to ensure participants are ready for the race ahead. We are delighted to partner with London Hospitality Services, who have sourced a wide range of accommodation options for runners and spectators near the route. They are the Official Hospitality Partner and also provide a number of exclusive benefits. We are proud to have chosen JustGiving as our official fundraising partner, so that runners get the best online fundraising experience and all the support they need to raise more money. 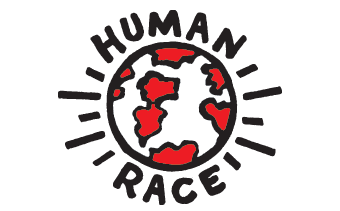 The event is operationally delivered by our friends at Human Race, the UK’s leading mass participation events company, who are driven by getting people active. Part of Amaury Sport Organisation (A.S.O. ), owners of the Tour de France, Human Race’s prestigious portfolio of over 20 major mass participation event includes the Royal Windsor Triathlon, the Cancer Research UK London Winter Run, the Asics Greater Manchester Marathon, the Tour de Yorkshire Ride and L’Etape UK by the Tour de France. Lucozade Sport, the UK’s leading isotonic sports drink, are welcomed on-board as the Sports Drink Partner, providing participants with additional benefits in the lead up to the event and on race day itself. We are delighted to be supported by Outdoor Plus, a fantastic outdoor digital media company based in the heart of the city. Outdoor Plus are helping to promote the awareness of the event through iconic digital advertising in London. Centurion Running are a UK based Ultra Distance Running Event Organiser, with 50 and 100 mile trail events across the South East as well as an online store and coaching services. We are very excited that they will be providing the pacer teams once again for this years LLHM. We are very excited to be supported by Eat Natural, who are providing snacks to all runners at the finish line. The tasty snack bars will be handed out to everyone and will help refuel after a long run. 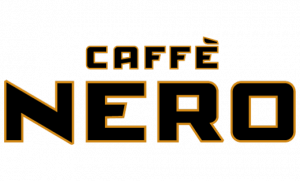 We’re delighted to be in partnership with Caffè Nero who are our Official Coffee Partner. Caffè Nero produce Premium award winning Italian coffee, in a warm and welcoming atmosphere. They are providing fantastic benefits for the event including coffee vouchers to all runners and volunteers. We are delighted to be working with Bar Salsa as our Official Bar Partner. All those with a LLHM finishers medal will be entitled to a free glass of prosecco, mocktail or juice at Bar Salsa Temple or Bar Salsa Soho. Cheers to that! We are delighted to have Mindshare’s support with our marketing and advertising plans. Mindshare is one of the UK’s leading media agencies and is part of GroupM, the WPP Group of media companies. Mindshare is helping us ensure that the London Landmarks Half Marathon is well promoted.